Daydream of lazy summer days with the Lakeside Ring! 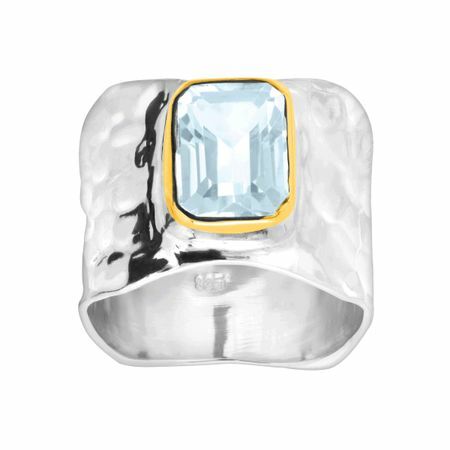 A wide, hammered sterling silver band boasts a sky blue topaz stone haloed by a ring of 14K gold plated-sterling silver for a memorable two-toned look you'll love. Ring face measures 9/16 inches in width.